Update, 3/21/10: Our custom colors of Salt + Pepper yarn are currently unavailable. Tilli Tomas Disco Lights yarn is a perfect substitute. 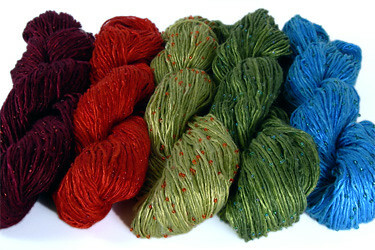 Tilli Tomas is known for their beautiful beaded and sequined yarns. We were thrilled when they offered to let us design our own colors of Salt + Pepper yarn, which is a lovely pairing of seed beads and 100% spun silk. The result is 5 colors, each named for one of Philadelphia’s famous squares – Rittenhouse, Fitler, Washington, Franklin and Logan (as shown above). Each 50 gram hank contains 225 yards of yarn and knits at a recommended gauge of 18 stitches to 4 inches on a size 7 needle. With 1 hank of Washington, we knit this scarf. 1. Cast on an even number of stitches – we used 28 stitches on a size 9 needle. 2. K1 *yarn over, knit 2 stitches together; repeat from * to last stitch, K1. 3. Repeat Step 2 until you reach the desired length or until approximately 2 yards of yarn remain. Bind off loosely. This is just one of the many great projects you can make with Salt + Pepper. Stay tuned for more ideas! Fabulous! But more importantly, what is that sweater, and where can I get the pattern??? Don’t know if I am doing this correctly. Did you receive the pattern for this adorable sweater? I love this sweater, too. Where can I receive/purchase a copy? The sweater in the photograph is the Cropped Cardigan. 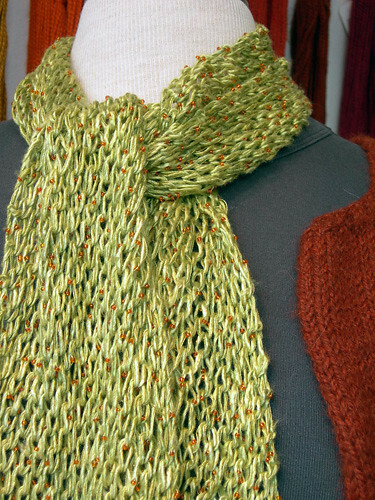 It’s knit with Blue Sky Alpaca’s Sport Weight or Melange yarn. I too like the cropped cardigan. Where can I find the pattern. It’s the Cropped Cardigan from Blue Sky Alpaca. 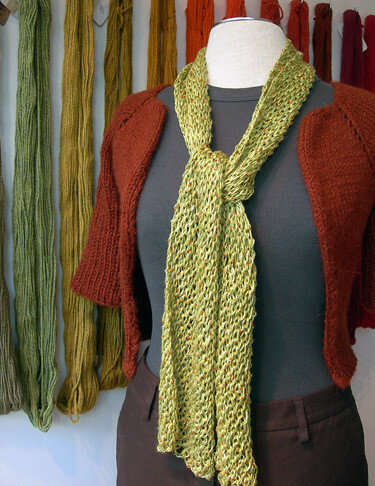 How much yarn is required for that gorgeous scarf? Where can I find that magnificant yarn???? I have asked at all local yarn stores and have been told that they know nothing about it! What do you mean by, “knit 2 stitches together”? Wouldn’t that make the scarf smaller and smaller? “Knit 2 stitches together” means to insert your right needle into the next two stitches on the left needle and knit them as if they were one. You’re right, it is a decrease; but the stitch count remains the same because the yarnovers are increases and add a stitch.